The asteroid's Perihelion is close to the orbit of Mercury. Its period is 308.695 days. 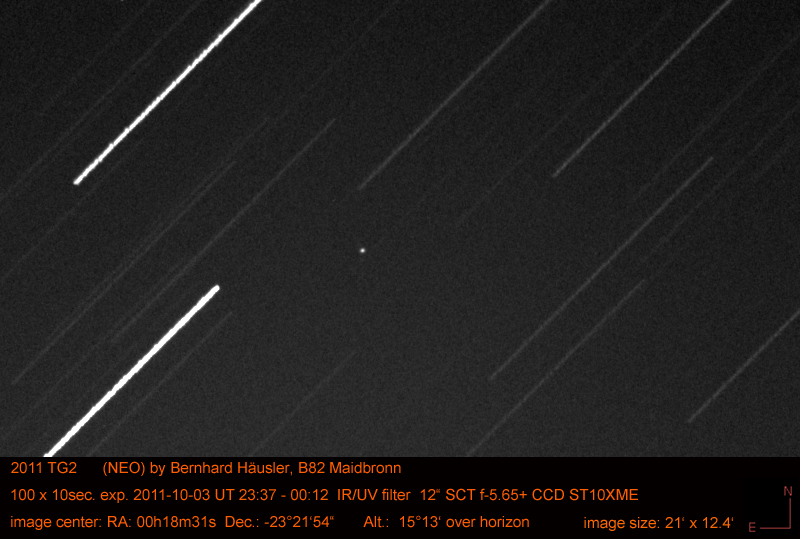 The trails of the asteroid are visible in the center of the image. 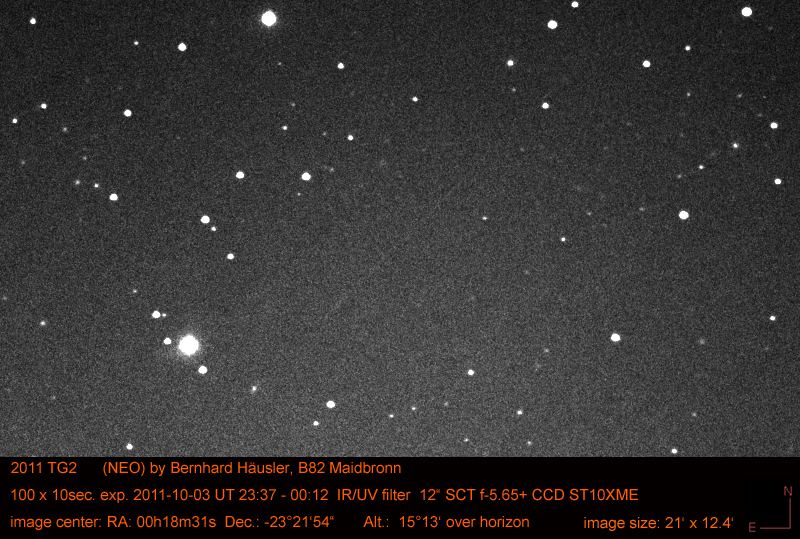 Light curve from 90 frames, performed with MaxIm DL 3.22. The images are made with an IR/UV blocking filter, the reference magnitude of the star HIP 1513 comes from the V-band. The magnitudes of the asteroid are showing the trend. Values of the light curve of 2011 TG2 find here, please.